Department of Art | LAST FRIDAY student group show at The Plant, Friday October 3rd, 6-9 PM. Home » News » LAST FRIDAY student group show at The Plant, Friday October 3rd, 6-9 PM. 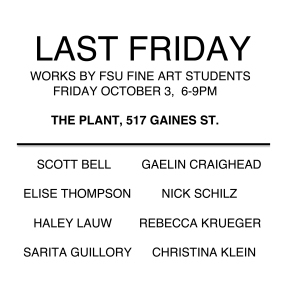 LAST FRIDAY student group show at The Plant, Friday October 3rd, 6-9 PM. 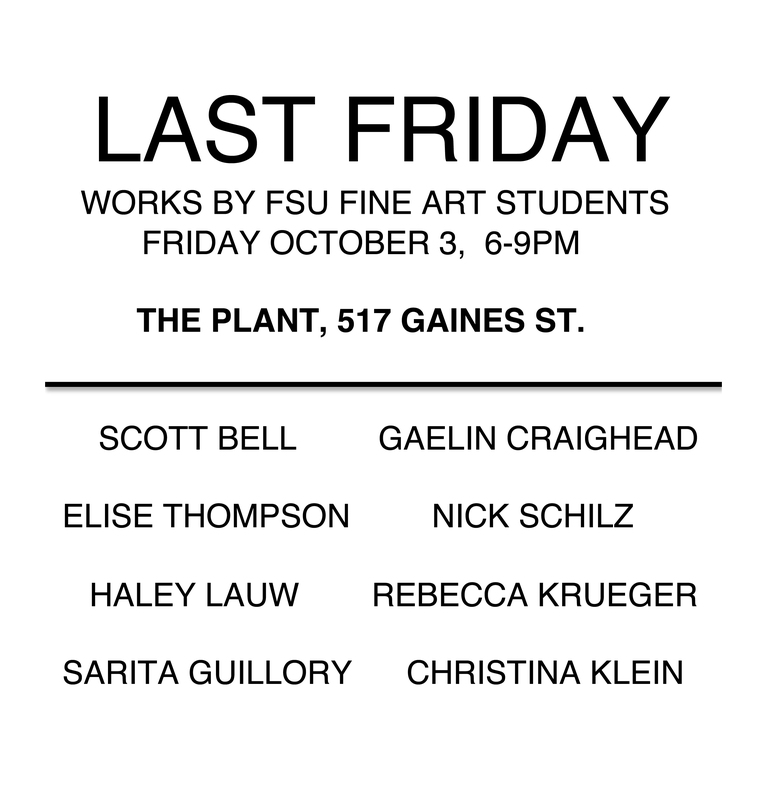 Please join us for the opening of LAST FRIDAY a student group show at The Plant, 517 Gaines St. from 6-9pm.